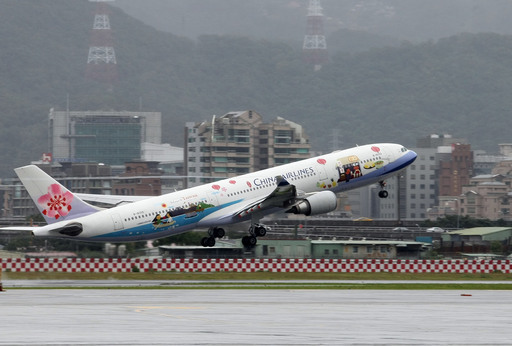 Taipei, Nov. 30 (CNA) Taiwan agreeing to provide flight plans to China is based on security concerns and does not involve sovereignty issues, Civil Aeronautics Administration (CAA) Director-General Jean Shen said Saturday. Around 100 daily flights operating on seven routes go through China's recently announced air defense identification zone (ADIZ) over the East China Sea, and the CAA will submit the plans to China on behalf of carriers flying from Taiwan, including foreign ones, which account for half of the total, Shen said. China's Nov. 23 announcement of its ADIZ is controversial, as the zone covers the disputed Diaoyutai Islands, which are claimed by both China and Taiwan but controlled by Japan. Shen made the remark in response to a joint statement issued a day earlier by legislative caucuses across party lines that called on the government to protest China's unilateral announcement. The lawmakers also said Taiwan should take the same stance adopted by other countries in the region and stop submitting flight plans to China. Japan and South Korea ignored China's demand to be notified about any flights passing through the zone and sent military planes to enter the area in recent days after the United States did so at the beginning of the week. Meanwhile, the U.S. State Department said in a statement Friday that U.S. carriers are expected to operate consistent with "Notice to Airmen" rules issued by foreign countries. But this does not indicate that the U.S. government accepts China's ADIZ, according to the statement.